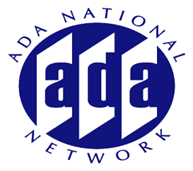 Certain provisions in the ADA and ABA Accessibility Standards are prone to misinterpretation and generate many of the technical inquiries the Access Board receives. This webinar will review and clarify these “hot spots” in the standards. Reviewers will untangle common sources of confusion, including those concerning application of the standards in new construction and alterations, employee work areas, toilet rooms, signs, detectable warnings, and other topics.